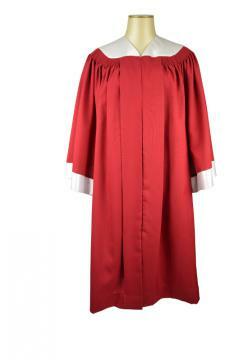 An elegant outfit for gospel performers. 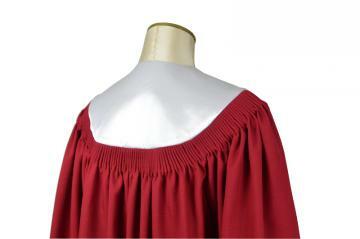 This gown is beautifully adorned with front pleats, gathered shoulders and back yoke. 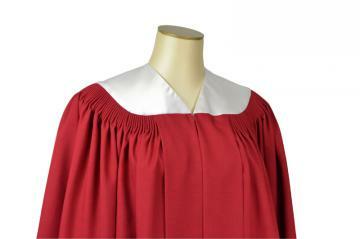 Sleeve trim and collar are dressed up with a contrasting satin color or matte fabric to accent the gown. 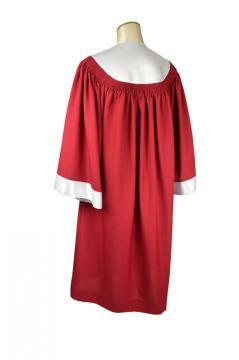 Thanks to a concealed front zipper, this gown is easy to put on and close.